We collaborated with a number of designers, developers and creatives at Amazon to work on the Fire Phone. We worked on and offsite for 16 months with Amazon and the Fire Phone team developing motion graphic strategies and different icon systems. Although Amazon’s Fire Phone had a short shelf life, the ideas and tools this incredible team built will forever live on as inspiration. 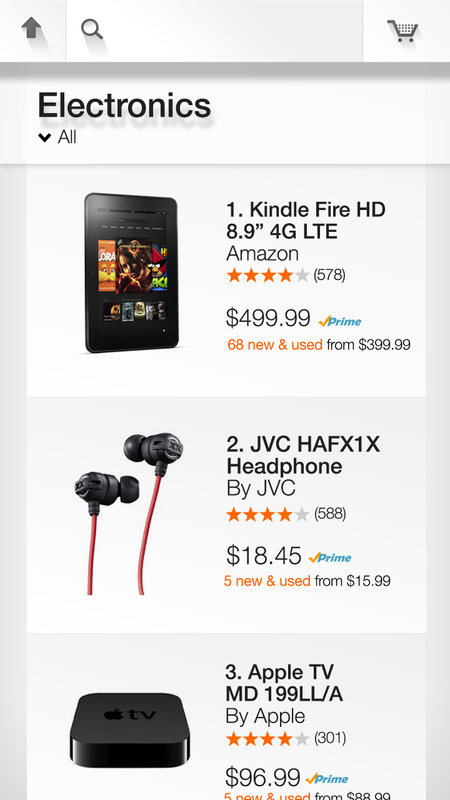 To work with Amazon to help develop motion graphics and icon glyph systems for the Fire Phone. We worked with a fantastic team of developers, animators, strategists and artists to develop a one-of-a-kind product, the Amazon Fire Phone. Our role was graphic design and motion design with internal and external Amazon team members. We worked with Amazon on various elements throughout the phone. Here, we're looking at motion style frames for the "Books" section. Jason (We Have Become Vikings) is amazing to work with. He thinks strategically and creatively and can take direction well. It’s a thrill to sit back and watch him brainstorm and the results are always exciting and thoughtful. On a personal note, it’s great having Jason around. He is a wonderful addition to the work place, he’s funny, affable and has a fabulous work ethic. Here are a bunch of different glyphs for the Amazon Fire phone, not all made the final cut, but it was such a great challenge to create a series of icon systems for Amazon's Fire Phone.